Another country heard from in regards to the GMO debate! A country…called Chuck Norris. To really underscore how Big Of A Deal this op-ed is, consider this ABC poll that found that Republicans are evenly split over whether they consider GMO foods to be dangerous, compared to their ideological peers: “Independents rate them unsafe by a 20-point margin; Democrats, by a 26-point margin.” Overall, “barely more than a third of the public believes that genetically modified foods are safe to eat,” and a whopping 93% of respondents are in favor of government labeling. 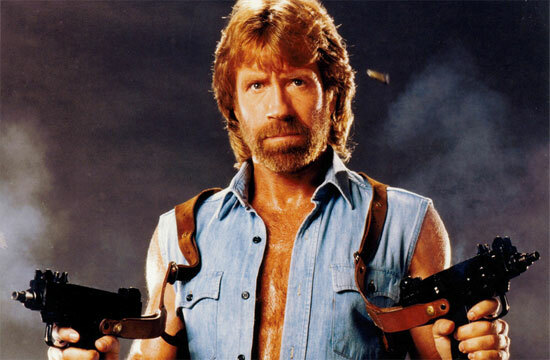 Now, granted, the acceptance (or fear) of genetically modified foods straddles both sides of the aisle, but this is the first we’ve heard of a conservative public figure — even one as minor as Chuck Norris (though major in his punching abilities) — taking a hard stance on the matter.